Exeter – a City in the country, bursting with rich history, vibrant culture and passionate people. The entertainment opportunities are endless. Home of Premiership Rugby Team the Exeter Chiefs, Exeter has been tipped as being one of the top 4 cities outside of London for growth in the next 3 years. Exeter Cathedral stands proud in the heart of our beautiful city. A rooftop tour is an absolute must. On a clear day, breath-taking views stretch as far as the rugged moors and Jurassic coastline. The building itself was exquisitely engineered and decorated by the most skilled craftsmen. It has the longest stretch of unbroken Gothic vaulting in the world and stunning stained glass windows. 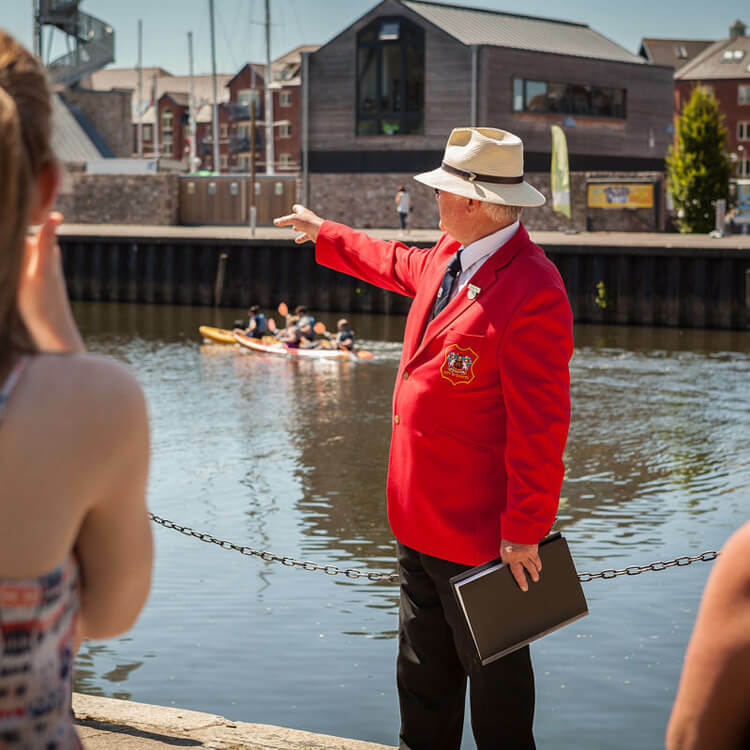 Daily Red Coat Tours give you an insight into the hidden past of this historical city. From Romans to witches, ghosts and myths, find out more about what lies beneath. Take this literally with a visit to the Underground Passages , a network of medieval passages that sit directly below the city. Guides lead you on a scramble through the network, regaling with tales of ghosts, escape routes and cholera. Book ahead, they are popular. Take a trip to the award-winning RAMM museum where you will encounter a wonderful and diverse collection of over one million individual objects and specimens from all over the world. The Historic Quayside is a favourite amongst locals and visitors alike. Cobbled paths lead between former warehouses, sympathetically converted into antiques shops, quirky stores, coffee shops and pubs. The perfect spot to sit and watch the world go by. If the sun chooses to shine then a spot of ‘messing about on the river’ is an attractive option. Head to Saddles and Paddles who offer canoes and bikes – you choose your mode of transport to explore the canal. If climbing is your thing then head straight to The Quay Climbing Centre – the ultimate vertical playground for the young and young at heart. When it comes to things to do in Exeter, the opportunities really are endless. Learn about Exeter and all it has to offer. Getting in and around the city couldn’t be easier. Exeter has an abundance of ways to spend your leisure time. With over 900 years of history Exeter Cathedral is well worth a visit.